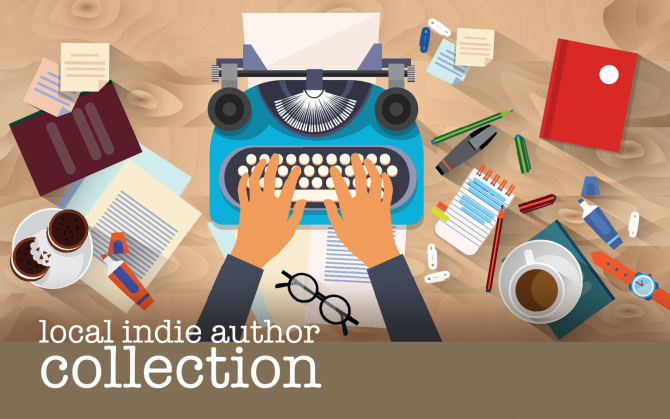 Lawrence Public Library is all about connecting readers and writers, and encourages local authors to submit their work for consideration for inclusion in the Library’s Local Indie Author Collection. The purpose of the Local Indie Author Collection is to highlight works by indie authors in the Northeast Kansas area that may be of local interest. Lawrence Public Library is happy to accept one donated copy of your work. Collection Development staff will acknowledge receipt of your work within 30 days. We carefully evaluate all new books using the detailed selection criteria in the Library’s Collection Development Policy. You'll receive notification regarding the Library’s decision within 90 days. Acceptance of a donated copy of your work for the collection does not guarantee that it will be included in the Library’s Local Indie Author Collection or the Library’s general collection. If the Library determines a work does not fit the criteria of the Local Indie Author Collection, the work will be donated to the Friends of the Library for their book sale. Please see our full Local Indie Author Collection Policy for more information.